Our commitment to communities across Canada. The Canadian Tire family of companies are your proud neighbours, dedicated to helping you enjoy life in Canada. Our broad reach spans nationwide - 1,700 stores strong - which allows us to work directly with local communities on remarkable achievements. 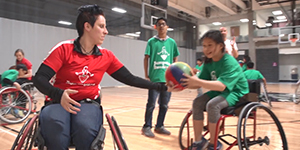 Canadian Tire Jumpstart Charities is a national charitable organization dedicated to breaking down barriers to get more kids into organized sports and physical activities. With an extensive national network of more than 300 local chapters, Jumpstart helps kids – and their families - by assisting with the costs associated with registration, equipment and other costs. 100% of all customer donations made to Jumpstart stay within the community in which the donation was made. Since 2005, Jumpstart Charities has helped over 1.5 million kids to get in the game. 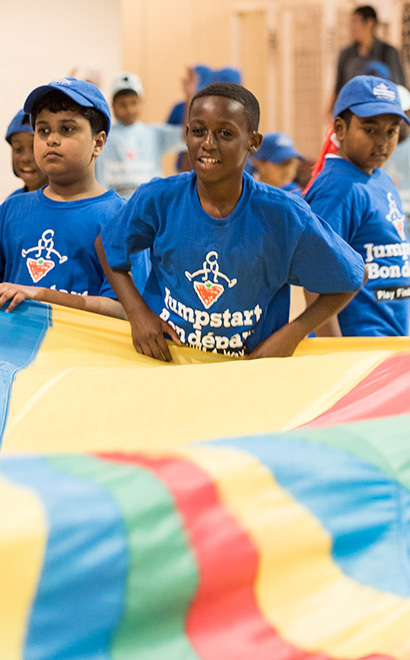 Last year alone, Jumpstart helped 250,000 kids from low-income families across Canada enroll in sports programs and other physical activities. 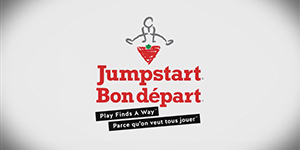 In 2017 Jumpstart launched the Jumpstart Play Finds A Way movement – a five-year $50 million investment to help remove barriers for kids with disabilities. 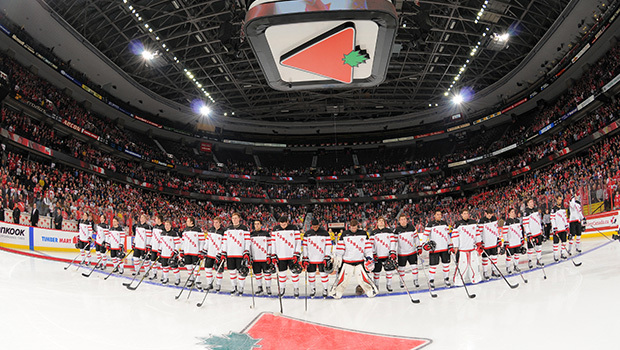 The Canadian Tire family of companies believes that sport has the power to unite families, communities and the nation as a whole. To help us achieve this, we’ve formed partnerships with many of Canada’s most influential sports organizations; ones that encourage healthy living and promote the benefits of physical activity. From providing athletes with top-tier sports apparel and equipment, to sponsoring the events they participate in, we are currently working with over 60 sport organizations across Canada - standing by their side for every step, shot and jump along the way. Above and beyond their significant involvement in Jumpstart, our local stores invest heavily in local programs that help Canadian communities thrive, and are dedicated to initiatives that promote healthy, active living, including encouraging participation in physical activity, sports, and outdoor living. For local sponsorship consideration, speak with your Canadian Tire Dealer, SportChek or Mark’s store manager and present an outline of your project or event. Please note that as a proud Canadian company, we focus our funding on programs that are offered within Canada. As a company with strong roots in communities across Canada, we are committed to helping get necessary products to locations impacted by emergencies. By working closely with our Dealers, the Red Cross, local officials and emergency task forces, we are there in times of need, supporting our stores so they in turn can support the communities in which they live.